Hello from Fort Worth, Texas, where we are only hours away from knowing who will take the 2018 title! It's set to be a serious season showdown and it's a three-way fight to the end... stay with us through the weekend as we cover all the race action live from the Texas Motor Speedway! We landed here earlier this week for what will be round 8 of the 2018 calendar – returning for the third time in the sport's history. It's tight at the top of the Challenger Class standings. 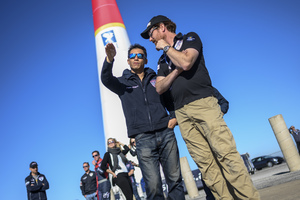 It's been a long testing season for the pilots of the second tier of the Red Bull Air Race. 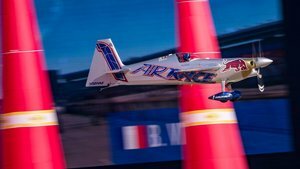 The Challengers have had to cope with new raceplanes and new locations, and now the top six have one last hurdle in their attempt to be crowned the 2018 Red Bull Air Race Challenger Class Champion. Florian Bergér is sitting on top with 28 points, with the title his to throw away. The German already has two Challenger Cup titles to his name and not finishing lower than second all season, he's the favourite to make it a hat-trick of titles – but Bergér has got a fight on his hands. If he wins in Fort Worth, Bergér will become Challenger Cup Champion. Anything less than first place, and the Challenger crown could go elsewhere. Sweden's Daniel Ryfa impressed with the top result in Free Practice 1, but Baptiste Vignes of France and Florian Bergér of Germany charged ahead in Free Practice 2 and logged the fastest times of the day. 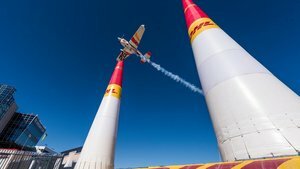 Hong Kong's Kenny Chiang had earned a place in the Red Bull Air Race Challenger Cup final, but he cannot participate due to illness. 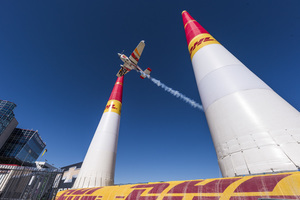 He will be evaluated as "Did Not Start" (DNS), finishing the 2018 Challenger Cup with a total of 26 points. 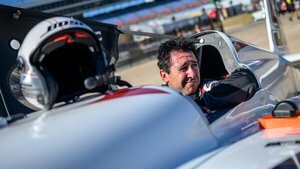 Martin Sonka showed today that the World Championship is still wide open by topping Free Practice 1 and Juan Velarde showed this could be anyone's weekend by setting the fastest time of the day in FP2. Good afternoon and welcome to Qualifying Day from Fort Worth! 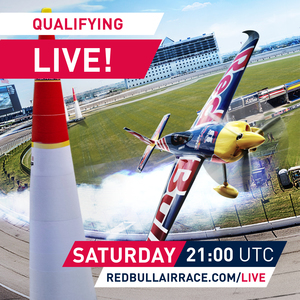 The local time is just after 13:00 and we join the Masters in the midst of their Free Practice 3 session. when the next live video? Hello, it starts in about 53 minutes, yes? Huuu!, no lo puedo ver por la pagina oficial!, espero poder ver mañana la final. Race Reporter when can we see the live video? Juan Velarde nailed FP2, taking the top spot with 50.872 whilst Martin Sonka was first in FP1. 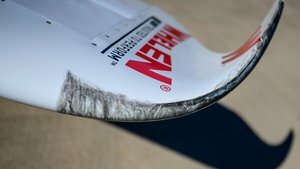 For Goulian, it's been a dramatic weekend already as the team have had to deal with repairs to the raceplane following a pylon hit. 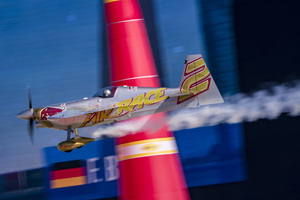 Murphy is next into the track; Ivanoff, McLeod and Goulian are still to fly. Ouch... and that's THREE pylon hits for Murphy at Gates 7, 9 and 12 - an automatic DNF result. Tough conditions out there, it's a real game of precision and pure skill out there today. 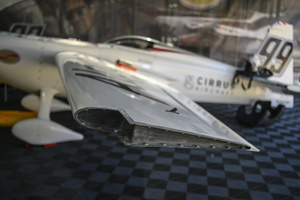 Goulian finished in 6th in FP1 and missed FP2 due to raceplane repairs. 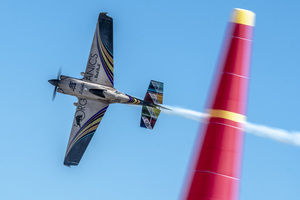 He's out in the track right now, but he's only managed 13th place overall in his first run after picking up +2s in Gate 8 for flying too low in the gate. A slight improvement as Goulian edges up the timesheets into 8th overall... he's still got another chance for improvement ahead of the Qualifying session later this afternoon.